Your home is one of your primary investments, so it’s up to you to protect it by making necessary updates repairs. Your roof plays a major role in the structural integrity of your home. Its also has a huge effect on your energy bills. If you haven’t been paying attention to the of your roof, you need to inspect it for damage or deterioration. But after you do that, how do you know if it needs a full replacement or simple repairs? Making the wrong decision could be hard on the pocketbook. When making any home improvements, educating yourself is always a smart move. That’s why we put together this guide on common types of roof damage the best course of action. 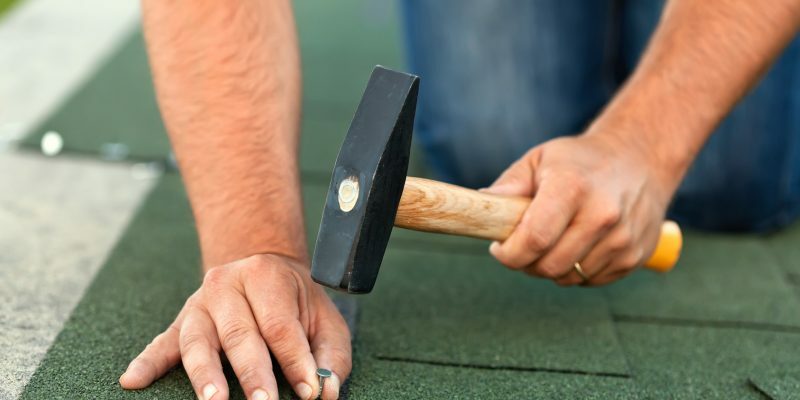 Let’s find out if your roof needs a full replacement or smaller repairs. Sometimes a roof can’t be saved with only minor repairs. The of individual repairs would cost more be more time-consuming than a full replacement. Severe roof damage effects other elements of your home like the attic, ceilings, walls. Replacing your roof when it’s in critical will add value to your home also protect it from further damage. Here are some warning signs. How old your roof is has a lot to do with your decision to replace. Most roofs last between 20 25 years. Keep in mind this depends on the severity of the weather where you live. Previous repair work comes into play here too. 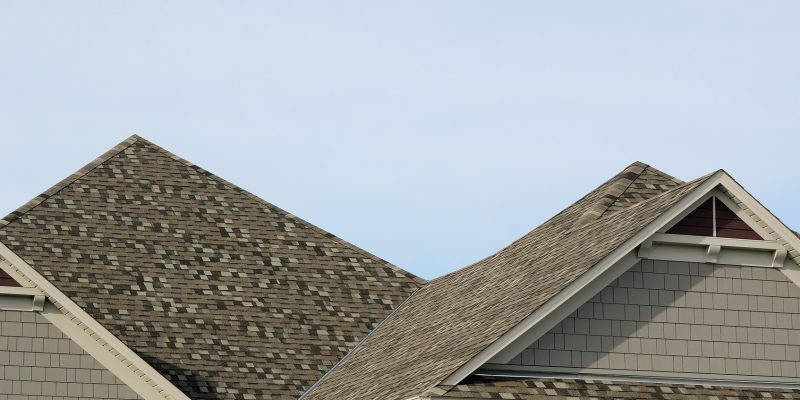 Find out how many layers of shingles your roof has. Even if a new layer was installed at some point, if it’s over 20 years old, it’s probably better to replace. When it comes to roof damage, shingles that have major buckling curling indicate a need for replacement. A good way to determine this is to look at the slopes of the roof, especially those that get lots of direct sunlight. Also look for shingles with missing granules or loose granules in your gutters. This is an indication that your shingles have done all they can need replacing. You’ll need to professional roofing to help you out. Sometimes water damage is manageable with quick fixes. Other times it’s too late. Check for water damage to the underside of your roof along with the supports in the attic. If you notice roof damage that goes far beyond a minor leak, it’s time for a replacement. If you have water damage in many locations, it may be more cost-effective to replace the entire roof. When you walk on your roof, do the shingles give a little or feel weak spongy. This is caused by deteriorating support boards. Whether a result of water damage or just old age, this problem indicates a need for a roof replacement. Check the inside of your attic for any light coming through from outside. Also, check the interior roof supports for deterioration. How are your gutters holding up? It’s essential to maintain high-quality gutters to avoid water damage foundation issues. If your gutters need replacing, it may be easier to go ahead have a new roof installed as well. Deciding to make repairs depends heavily on the severity of the roof damage or deterioration. It’s possible that what seems like a major issue could be remedied very easily. However, putting off small repairs almost always leads to more serious problems that require costly solutions. Here are some conditions that warrant minor repairs. Consider the size of the damaged area. If you only have damage or deterioration in small, localized areas, repairs will suffice. When compared to the size of the entire roof, if no more than 30% of the roof is damaged, than repairing is the way to go. Is a small amount of rainwater getting into your attic during a storm? You may simply need some shingles replaced. Sometimes the source of a roof leak is difficult to find. If you notice water damage on ceilings or walls, you’ll need to check to see if water is running from the source of the leak in the attic to a different area. Although water damage inside your home is a serious issue, it could be coming from a minor leak. Have you noticed a sudden increase in your energy bills? You could have air escaping from your home by way of the roof. As serious as this may seem, a minor repair will fix any small ventilation issues. An experienced roofer will determine if you have holes or splits in your roof. Roof damage from high winds, rain, snow, hail are common but don’t always mean you need a full replacement. If you’ve had a major storm, look for things like missing shingles, leaks, or damage to exhaust pipes. Hail poses the biggest threat to a roof. If you’ve had a major hail storm, call a professional to access what repairs need to be made. When making your final decision whether to repair or replace, pay close attention to a few things. A full replacement may be more cost-effective in the long run. However, if you have a relatively young roof, minor repairs make more sense. You should also consider how long you plan on staying in your current home. If you think you’ll be selling in the next few years, a full replacement adds value when trying to sell. You also keep in mind that if you only repair some of the shingles, they will look mismatched. If you’re worried the aesthetic appeal of your home, a full replacement is the way to go. If you’ve weighed your options are still unsure what the best plan of action is, Davis Contracting can help. We specialize in roofing repair replacements in the Greenville area. Contact us today. If your roof is over 20 years old, the time to invest in a new roof is near. of course, it’s best to do this before it becomes a problem. 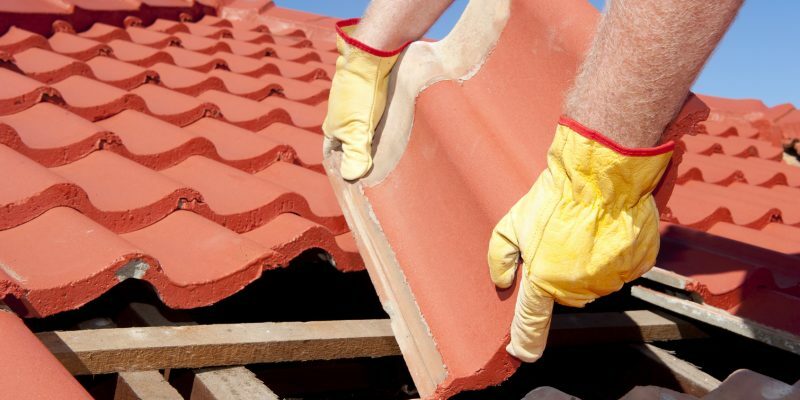 If you have already contracted with a roofer, you are to undertake a major home renovation. Here is what to expect for a roof installation what you can do to prepare. Before the crew even arrives, there are some things you can do to prepare your home. Cut back any low hanging branches or shrubs that may be blocking access to the roof. If you want this properly landscaped, you will need to hire a landscaper beforehand. If you have copper gutters on your home, many roofers suggest you have them removed and later reinstalled by a gutter company. Any solar panels, TV antennas, satellites dishes, and basketball goals and solar panels must be removed before work can begin. Many homeowners prefer to take these down themselves. A freshly-cut lawn makes cleaning up easier. Roofers do clean up after themselves. High grass makes that more difficult, which means the job takes that much longer to complete. Most roofing contractors know the importance of open communication with the homeowner. In the beginning, your contractor will talk with you the project. You will know how long the roof installation will take to complete. The contractor will also tell you what materials or parts are being installed along with the roof, like ridge or soffit vents. You will also be informed of the different phases of the installation, including the prep work that happens beforehand. If your roofer is not communicative, ask questions. In fact, ask any questions along the way as they come up. The roofer will do the same by letting you know of any problems that arise along the way. If you have kids, pets, or any adults in your home who are sensitive to noise, make plans to be outside of your home during working hours. Think of it as a great excuse to get some errands off your to-do list. Visit with friends you haven’t seen in a while or do anything that you and your family would like to escape the clamor going on above your heads! During a roof installation, your home becomes a construction site. Be careful when walking around your home, even after work for the has ended. 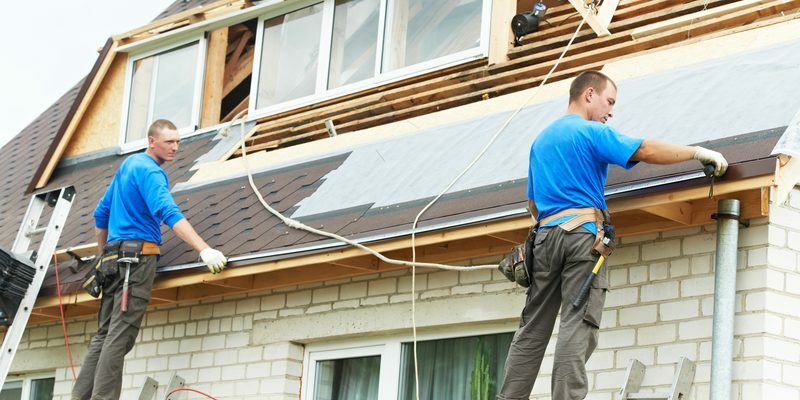 Roofing companies make safety a priority for their workers as well as residents. Children pets take an interest in all the activity. Roofing materials equipment is dangerous. Children animals should steer clear. Many families choose to leave the home during working hours. If possible, you should make similar arrangements for your pets. There’s just no way around it. Any construction is noisy. Roof installation is especially loud. Along with the noise comes the vibrations from above as the roofers work walk across the top of your house throughout the . If you have wall hangings, mirrors, or other collectibles on the walls or shelves in your home, consider moving those until the job is over. The vibrations from work going on above can cause those items to fall. Vibrations can also cause light fixtures to fall. It’s wise to check those tighten any that feel loose. Our collections have monetary sentimental value, so it’s best to prepare ahead secure those before the roof installation begins. A roof installation means that the old roof must be removed. Roofers take care when removing the old roof. However, dirt debris will fall as they are completing this task. Installing the new roof also creates some debris of its own. 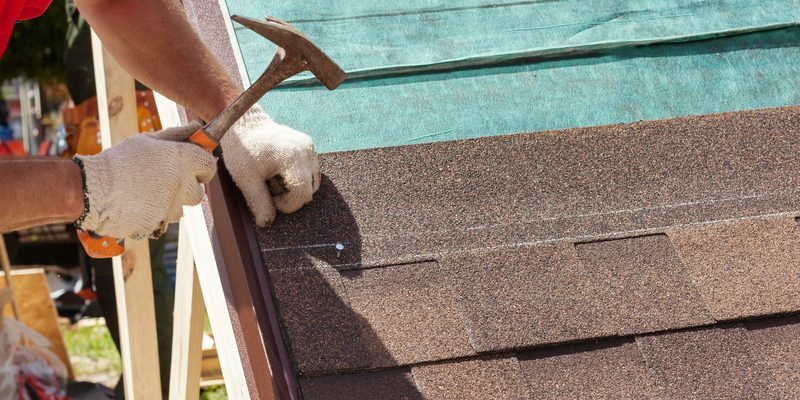 Roofing contractors will be mindful of the items around your house. Most will even suggest that you move items that may be in the way. Remember, crews need access to the driveway sidewalks around the house. Move any large children’s toys, lawn furniture, potted plants, or other items away from your home driveway to protect them from falling debris. Items also include lawnmowers, grills, your vehicles. Park your cars on the street to keep the driveway clear. This protects your vehicle, clears a path for workers, gives you easier access to your car. Your car probably won’t be hit if it’s in the garage, but you’ll have to shout up to the roofers to stop work while you access the garage back your car out. Parking on the street is more practical. Roofing debris can damage spas pools. Nails damage vacuum equipment stain plaster. Roofers typically tarp the pool . If you have a pool, you should turn off the pump during the installation clean the pool after the project ends. Warning! Keep family members clear of the tarped pool! During a new roof installation, debris will inevitably fall through the roof decking. If you have any items or automobiles in stored in your attic garage, you will either need to move them or cover them. We keep all sorts of valuable items in the attic that we forget , like antiques, old family photos, holiday decorations. If you don’t want to move anything out, at least cover the items with a tarp or sheet to keep dirt, dust, shingle debris from falling on them. After the roofers have completed the job, they should leave your property as they found it. You are not responsible for cleanup. The roofers will gather up all debris from the installation take it away. All that should be left is your new roof. During a roof installation, contractors are up there hammering away. Life just won’t be normal (or peaceful) for a little while. Roofers do what they can to communicate ahead of time so the project runs smoothly, safely, timely. This article presented a few things you can do as the homeowner to help in that area as well. Have patience. The result will be a beautiful, sound new roof. If you have questions getting a new roof in the Greenville, SC area, please contact us. How often do you think your roof its ? Daily? Yearly? Maybe only when something goes wrong with it? Maybe only when something goes wrong with it? Even though the roof vital to a building’s integrity, most people don’t think their roof until a disaster such as hail, damage from high winds, simple neglect strikes. By then, small issues, wear tear, age has had time to build up, what could have been a simple repair becomes much more costly. A lot of these problems can be avoided, or caught before they get worse, with regular preventative maintenance. While it may seem costly at first, in the long run it’s a worthwhile investment in the life of your property. Here’s why. One important aspect of preventative maintenance for your roof is yearly inspections. Having your roof inspected periodically will allow you to catch a myriad of problems early on: storm damage, loose components, animal damage are just a few examples. Being able to repair these issues early can help prevent excessive water damage to your property, reducing the likelihood of structural damage. Not only that, but it can also help catch structural issues before they get worse. A sagging roof that hasn’t suffered much damage can be a tell-tale sign of issues elsewhere, for example. Including repairs replacements of roofing components in your yearly inspections is a great idea, as well. By replacing tiles, fittings, vents when they show signs of wear helps your roof work the way it should for decades, instead of years. Another thing yearly inspections can catch early is outside environmental issues that can cause your roof to fail early. Constant, excessive water run-off from a tree could cause issues, or the branches could damage components or knock them loose. Replacing an entire roof can be a costly endeavor, to be sure. What all the water that’s seeped into your wood down between your walls from a leaky roof? Replacing structural wood that’s rotten away redoing walls, insulation, wiring that’s been damaged can cost you a pretty penny as well. Mold mildew can also grow in the damp conditions, adding not only the cost of mold removal to your bill, but people’s health as well. Let’s not forget the personal effects items that can be destroyed if there’s a roof-related disaster. Whether it’s a family’s belongings or a ‘s stock, that’s going to cost a pretty penny to replace. Having preventative maintenance done on your roof regularly can help you avoid these larger costs. It can also help ratchet down the costs of natural disaster-related repairs. On a solid, well-maintained roof, hail will probably damage a few tiles some vents, be done. On a roof that’s structurally unsound, the impacts could cause weakened spots to cave in, guess who needs a new roof? Let’s face it, no one wants part of a building falling down on them. While you may think this isn’t that big of a risk, you’d be wrong. Even if your roof only has a small leak, consistent water damage can weaken wood walls over time. This can cause the disintegration of ceilings, walls, floors over time. Eventually, the right amount of weight in the wrong spot can send parts of the building crashing down on whatever’s underneath of it, resulting in disaster. There’s an electrical hazard to leaky, damaged roofs as well. Dampness can cause rust corrosion on metal components in your electrical system, which can loosen connections cause shorts. Let’s not forget the fact that water electricity don’t play well together! As mentioned earlier, the mold mildew that can form from dampness caused by roof leaks are also hazardous to people’s health. It can cause respiratory issues, headaches, a whole host of other illnesses, so this is something that’s best to avoid if at all possible. For commercial properties, puddles left by leaky roofs present slip fall hazards to your customers employees. Regular preventative maintenance for your roof is also good for the environment itself. A roof that is sound works properly will help keep your home tight energy efficient, which means you’ll be consuming less electricity trying to keep your home either warm or cool, depending on the season. There’s also the materials used in your property’s construction to consider. The longer they last the less often you have to replace them, the less money you spend. Your walls will stand strong, your insulation will do its job, and you’ll consume fewer resources replacing things that should have lasted for years. Having a sound roof will also make it easier to upgrade to options that are more eco-friendly in the future, such as solar panels or a tiling system made of different materials. Are You Putting Off Preventative Maintenance? When you think it, how is your roof any different from your car, your HVAC system, or your health? Regular oil changes, brake work, car tune-ups, furnace AC checks, annual health check-ups are all things that people do every . Yearly inspections preventative maintenance on your roof are no different. If you’re still not sure if you want to add another expense to your budget, price out how much it will cost you to get a new roof, even a new building. Which is going to end up costing you more time, heartache, money over the course of several years? In the long run, regular maintenance can not only save your budget, but it can give you peace of mind. How much is your family’s or ‘s safety security worth to you? If it’s been a while since you’ve had anything done with your roof, we can help. Set up a free inspection with us, together we’ll ensure your roof stays in the best shape possible for years to come. Is your home protected from all angles? You may think a fence around the property a strong security system are enough. What protecting your home from the elements? A home is only as strong as its roof. The roof fends off possible damages from high winds heavy amounts of water over the years. Choosing the best types of roof shingles can make a difference in how well a roof holds up. Asphalt shingles are one of the most common types of roof shingles. They are also some of the cheapest, with prices ranging from $100 – $150 per shingle. Installation costs range anywhere from $1,700 – $8,400. This option works best in temperate climates. If used on roofs where the weather changes dramatically, you may see some shingles cracking under tough conditions. Still, it provides 20 to 30 years of good protection when used in the right climate. Some homeowners opt for coated asphalt shingles. These meet Energy Star standards to save electricity and provide extra protection from the elements. Keep in mind you must have a steep slope on your roof for asphalt shingles. If you like the appeal of asphalt, but do not have the steep slope for it, you may opt for three-tab shingles. These shingles get their name because cutouts give the visual impression there are three separate shingles when installed. Three-tab shingles are thinner and less expensive than asphalt, coming up at a maximum of $5,300 to install. Still, they provide an equal amount of 20 to 30 years use on your roof. Both asphalt and three-tab shingles are a good option for cheap, quick solutions to your roofing needs. Metal shingles work well on flat and steep roofs alike. This can be another low-cost option, but ask the effect on price between different metals. Shingles range between copper, tin, zinc, aluminum with prices anywhere from $100 – $1,000 per shingle. Average installation fees can be as low as $2,000 or reach $15,000. No matter if the costs add up or stay low, metal is one of the longest lasting types of roof shingles. One roof can last 50 years when maintained well, which is twice as long as asphalt! For a more eco-friendly option than other types of roof shingles, go for wood. This natural alternative comes in cedar redwood for $400 – $700 per shingle. Installation can reach up to $15,000, landing wood shingles at mid-range of average roofing costs. The price is worth every penny, since wood shingles can last anywhere from 30 to 50 years. Plus, many are willing to pay more for the beautiful aesthetics of a wood roof. Wood shingles are easily maintained with regular pressure washing to protect from mold mildew. Homeowners should keep in mind this option is more likely to catch on fire. It also needs to be protected from the dangers of termites mold. These types of roof shingles begin with a fiberglass base made of overlapping wet fiberglass glued together by urea-formaldehyde. It is then coated with a blend of mineral fillers asphalt to make the shingles waterproof. The coating also makes fiberglass shingles fire resistant, lightweight durable, all for a lower price than most shingle options. In fact, installation only reaches $8,000 maximum. Additionally, homeowners who invest in fiberglass shingles are getting better protection from UV rays , usually, a longer warranty. If you want to help save the planet your wallet, organic shingles may be the better types of roof shingles to choose. They are repurposed material composed of mainly wood chips, felt, recycled cardboard. They are then coated with a thick layer of ceramic to make the shingles more resistant to water. The final coat makes organic shingles heavier than fiberglass although not as long-lasting. 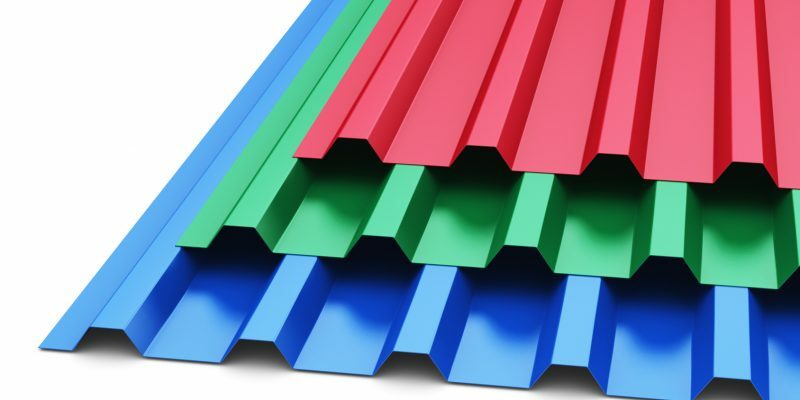 Organic roofing is best for homeowners looking for quick repairs or cheap options to a new house. However, you may find the need to replace your roofing style later on. Slate shingles are slabs of natural rock pulled from the ground, commonly from the Northeast United States. The rock is durable against strong weather conditions like high winds, heavy rain, hail, or snow. They are fireproof waterproof, too. This makes slate shingles one of the strongest types of shingles in the market, lasting up to 50 years. Plus, many make it this long with few repairs. It is not uncommon to see old buildings with their original slate roofs still completely intact, or maybe with just a few leaks. Due to their high quality, slate shingles come with a big price tag. Each shingle can be up to $650, with installation costs ranging in between $5,000 – $23,000. For a similar option easier on your building budget, synthetic slate shingles are available. They are the closest thing in the market to the strength durability of real slate, but will not be quite as durable. If price is not a concern when choosing the ultimate style strength of your shingles, look no further than tile. Prices per shingle range from $300 – $700. Average installation fees are between $10,000 – $14,000, but they can reach up to $60,000. This happens when homeowners choose to customize the colors shapes. The most popular among tile shingles are red ceramic. They resemble Spanish or Mediterranean styles of architecture are common in the Southern States. Tile shingles are also the longest-lasting, with some roofs reaching 80 years in great . It is important to have a contractor assess the strength of your home before switching to tile. Different types of roof shingles have different levels of weight, tile is among the heaviest, which can put a strain on the overall structure. Roofing options can vary based on the structure of your home, the area in which you live, your budget. However, there is a more important choice to make once you find the shingles you want. No matter the types of roof shingles being installed, you need to have the right contractor doing the job. Choose a trusted to get the job done. Contact Davis Contracting for your free home inspection today. Out of all the roofing materials available on the market today, metal is very arguably the most effective. Metal roofs are not only more durable longer-lasting than other types of roofs, but are more energy efficient as well. Of course, you can’t break all metal roofs down into one category. There are metal roofing materials of all kinds, with each kind providing its very own benefits drawbacks. There are, in general, 5 supreme metal materials for roofing. These include copper, aluminum, steel, tin, zinc. Let’s discuss them, shall we? Cooper is a metal which is typically used on roofs for decorative reasons. Because of its bronze color, it gives a touch of prestige to whatever roof it’s used on. Because copper is such a soft metal, it makes relatively little noise when rain or sleet is falling down on it. Copper is not only rust-resistant but inflammable as well. This allows it to thrive through forest fires, rain, snow, whatever else comes its way. There is certainly an argument to be made for copper being the most attractive of all metal roofing materials. In fact, it’s most typically used for decorative style purposes. Copper roofing is some of the toughest roofing there is, capable of thriving functionally aesthetically for hundreds of years. With exceptional durability comes a very high price to pay. 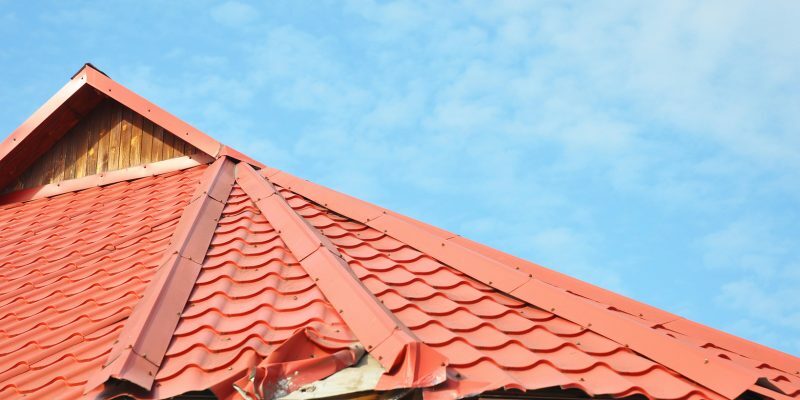 Copper is the most expensive out of all metal roofing materials. Because it’s so soft, copper is extremely susceptible to hard falling matter such as hail. If you live in a stormy or heavily wooded area, your copper roof will show damage. Aluminum is used for almost everything, roofing is no exception. Aluminum roofing is often used on coastal properties because of its weather-resistant capabilities. Aluminum is completely-rust free, allowing it to thrive through rain storms, snow storms, other similar occasions. As a fairly soft metal, aluminum can be easily manipulated to fit specific roof angles. It can also be shaped into a of different designs. While it’s not as cheap as steel, aluminum is also not as expensive as copper. Though its price fluctuates over time, it’s typically pretty reasonably priced. Out of all metal roofing materials available, aluminum is the lightest. This is a positive because it takes unneeded stress off the property’s structure. While it’s very durable relatively inexpensive, aluminum is not the most aesthetically-pleasing metal you’re going to find. It’s typically used for practical purposes only. Like copper, aluminum is a soft metal. Because of this, it is extremely prone to damage from falling objects such as hail tree branches. Galvanized steel is a cheap material which is often used for residential roofing purposes. Designed in a of different styles, it adds a touch of charm to every home it graces. Out of all of the metal materials on our list, galvanized steel is the least expensive. Many use it as a budget alternative to aluminum. Galvanized Steel is an alloy made out of a of different recycled metals. Because of this, it takes very little energy to produce. Not only does it hold paint well, but galvanized steel can also be shaped to accommodate a of different styles. As the hardest of all metal roofing materials, galvanized steel makes quite a bit of noise when coming into with rain. While it holds up fairly well in dry areas with little rain, galvanized steel is far too corrosive to hold up in rainy coastal areas. Galvanized steel is extremely heavy compared to other metals, meaning that it will place quite a bit of stress on the structure of its property. Galvalume steel is an alloy which is coated with aluminum zinc. Less corrosive than galvanized, it’s used on both commercial residential properties. Because it’s coated with aluminum, galvalume steel is almost completely resistant to rust. While it’s susceptible to scratching, galvalume steel is, structurally, a ridiculously durable metal. It’s just not designed for aesthetic purposes. As one of the heaviest roofing materials, galvalume steel offers superb strength. This enables it to hold up in heavily wooded areas where falling branches are a normality. While it’s cheaper than copper aluminum, galvalume steel is still a little more expensive than galvanized. Galvalume steel is almost impossible to shape mold. It usually has to be used in the same shape that it’s manufactured. Because it can’t be easily shaped, galvalume steel offers essentially no style points. Zinc is a soft, but attractive metal that is often used for residential roofing purposes. It’s considered to be very environmentally-friendly. Like aluminum copper, zinc is an extremely soft metal. This makes it very easy easy to shape mold. Zinc is a very durable metal which has been found to last on rooftops for over 100 years. Because it’s so easy to mold, zinc takes very little energy to manufacture. Not to mention, it’s completely recyclable. Due to its soft state, zinc produces relatively little noise when coming into with rainfall. While it’s very durable structurally, zinc is not very durable aesthetically. As time passes, it develops a sort of chalk-like residue on its surface. Because it’s so lightweight, zinc is highly susceptible to damage from rain, snow, wind storms. Looking to install a metal roof on your home or commercial property? If so, we here at Davis Contracting have got you covered. Located in Greenville, South Carolina, we are officially certified roofing contractors who know exactly which measures to take in order to adorn your property with a metal roof in a safe professional manner. Fixing the roof on your home or business is no easy task. Proper roof maintenance takes a lot of time and money. The right contractor can be the difference between a job well-done and a job that cuts corners and takes longer than expected. If you are having second thoughts about the roofer you hired to work on your home, you want to keep reading. There is no reason for a contractor to ask for a big chunk of the final price up front. Many will ask for a small amount in order to fund materials and other necessities. This is common practice. The Better Business Bureau recommends a standard of paying for roofing in thirds. Payments happen before the job, in the middle, and upon full completion and approval. This ensures funds are respected on both ends and trust is established between contractor and homeowner. Some companies may claim to need full payment, or an amount closer to 50%. Stay away at all costs. Reputable small businesses will be able to fund projects via credit, and big businesses have no need to ask for so much up front. A contractor essentially works on their own time. A good roofer, though, understands time is money for both parties. They will respect the project deadline and personal hours. Most roofers operate on an average workweek of 30-40 hours. They keep as close to a traditional 9-5 in order to ensure the project stays on track. Plus, this means your roofing job shouldn’t interfere with your home life. The questionable ones try to roll in to the work site at noon on Monday and skip out early on Friday afternoon. They will rush the work to move the project along in order to make up for not working full hours. Be aware of long breaks and what workers do on their breaks as well. A half hour to an hour lunch is reasonable for a full day of intense manual labor. A beer with lunch is unacceptable. Any respected business owner and employee understands the project site is a place for professionalism. They will not tolerate any misbehavior on the job. A roofer should be mindful of the homeowner and residents, with full respect of privacy and little to no foul language. Safety comes first on any roofing project. A reputable company will make safety for both your family and its workers the number one priority. It does this by operating within a standard set of safety guidelines. The Occupational Safety and Health Administration can help you understand these guidelines on a construction site. It is referred to as a high hazard industry. This means that the work carries risks, and is not something to take lightly. Since roofers will be working above 6 feet off the ground, they should wear fall protection and proper foot gear. In the event of injury, it is the job of the contractor to handle treatment and insurance. Do not engage in a situation where a roofer may try to come after you, the homeowner, for injury compensation. This is a big, serious red flag. Another issue to look for is rotating or transient employees. Are the people that started the project the same as those showing up for work halfway through? A consistent team reflects a legitimate company. It says your contractor is practicing good business, from payments to employee satisfaction. Remember, it is the job of a responsible roofer to be aware of and fix any safety hazards. In the event you see something suspicious or have a problem with an employee, they should be open to your feedback. Speaking of feedback, let’s talk about communication in general. Keeping an open, consistent line of communication with your contractor is essential in completing a project efficiently and on time. A best practice on this point is to talk with your roofing company and their team at the start of each day. This keeps you informed on daily/weekly goals and the progress in achieving them. It also helps with misunderstandings. If you are suspicious of late arrivals or long breaks, ask your roofer before thinking the worst. However, it shouldn’t take days for you to be able to get in touch with your roofing company. Asking the roofer some questions will help determine what kind of person they are. Additionally, the more you talk to your roofing company, the less likely they are to pull away. In particularly bad situations, contractors leave sites in the middle of the job and refuse to return or even answer a call. They essentially take the money made up to that point and run. This happens frequently with those companies that ask for a lump sum up front. It also happens with storm chasers. The contract is the most important part of dealing with a roofing company. It makes everything leading up to that point and everything after legitimate. It is also a point of reference for payment and material discussions that may happen down the road. Any good contractor will have no problem signing a contract. In fact, they will bring it to you. They will offer full disclosure to the terms of the deal, without rushing you to sign or read quickly. Do not hire someone to work on your roof without a contract. No matter how small the job may seem, or how big of a hassle, the contract binds both parties. It is your insurance for the job to be completed on an agreed price point at an agreed deadline. It is the contractor’s guarantee of payment. It also shows your their plans for choosing and laying materials. In short: no contract, no deal. Now that you are aware of what bad roofing looks like, you can be confident in choosing your next contractor. Contact our Greenville roofing company today for your home or business roofing project. There is maybe nothing more frustrating scary for a homeowner than having problems with your roof. Beyond the long term issues a roof problem can cause with the value of your home, the damage to property peace of mind can multiply fast. What’s worse is that it can be difficult to know where to turn. We have all heard the horror stories of roofing companies who fail to stand by their work, disappear overnight, or pass on their own financial issues to their clients. Who can afford to add more problems to an already difficult situation? No, for homeowners with issues you need to hire a local roofing company in SC. When the average homeowner in South Carolina thinks hiring a roofing company their mind starts swirling with dollar signs. How can they afford the expense of hiring a professional roofing company? But with today’s real estate market at all-time highs, you can’t afford not to protect the value of your home. if you are thinking saving some pennies by doing the project yourself, think again. Most homeowners find that hiring a roofing company will definitely save money in the long run. For one thing, as long as your company is well reviewed by the Better Bureau you can be sure the work will be done right the first time. There is nothing worse than the added expense of having to hire a contractor after you have already spent your own money trying to do a job. A local roofing company in SC that is well reviewed will have the proper tools, employees, experience to do the job more economically. One of the other reasons it is best to hire a local roofing company in SC is that your friends family will likely have experience with their . All of us prefer to hire we know are trustworthy high value. With a local provider, you can choose someone your friends family recommend. Plus, they know you are part of a local network can’t afford to cut corners or run away in the night. Great referrals mean you are using a company that stands by their work. Like all businesses, there are discount roofing companies out there. The larger organizations can make bold claims cost savings but do they really stand by their work? Using a larger chain to order products over the internet is one thing. But can you afford to trust your roofing to a company without a strong local presence? You don’t just get the benefit of doing with local members of your community by hiring a local roofing company in SC. In addition, you know they will have to stand by their work and support you if issues arise in the future. Any provider can make promises cost savings quality. But if you are never going to see them again what is on the line for the company by making these promises? We live in a culture that is increasingly suffering from poor customer . If you try one of the larger companies you may be placed on hold for long wait times or even have trouble talking to a human being. Choosing a local roofing company in SC means doing with someone who you will bump into in the grocery store, or see at Little League games. They have to stand by their work as you will see and do with mutual friends down the road. Plus, the best companies are always invested in the community. Buying local means you are getting the best investing in the overall economy of South Carolina at the same time. Anyone who has done with one of the larger companies knows that you need to watch out for the fine print. You can pay for a warranty only to find that you are not covered down the road. Some roofing companies use the warranty of the products but don’t stand by their own work. In essence, you are getting short term cost savings without the full protection of craftsmanship. 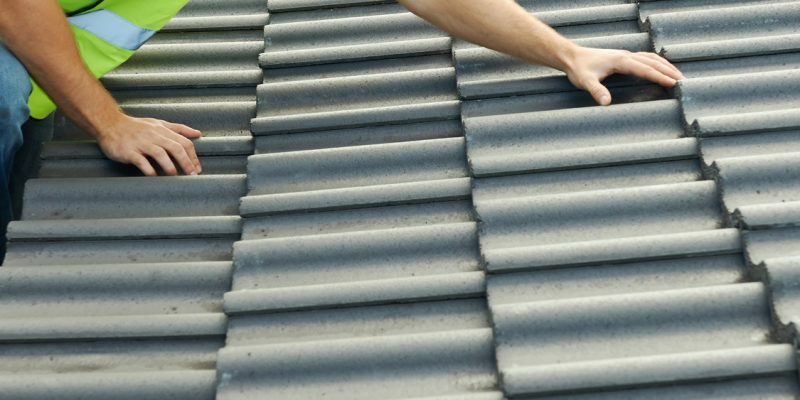 With a local roofing company in SC, you get the best protection with your work. You can rest assured you are working with a company who is performing quality repairs that will last. If you’ve ever had a roof problem you know it needs to be fixed immediately. With the hoops, you need to jump through with warranties and insurance adjustments the last thing you want it to wait to get on your roofing contractor’s schedule. The best roofing companies have experience with industry leading practices and products. But they also have a wealth of local experience and support. By no means should anyone trust their home to a small local company who isn’t bonded, insured, or well reviewed. But a local roofing company in SC with a proven track record offers the best of both worlds. You get the customer of a local company the craftsmanship of an industry expert. There is no doubt that there are more benefits to hiring a local roofing company in SC. But once you know that, which company do you pick? You need someone who is trusted in the community is licensed, bonded, insured. They should have a wide range of experience in residential roofing as well as commercial roofing . Davis Contracting can help you with the roof repairs you need. Don’t wait another to remedy that long-standing roof issue. You need to protect your loved ones and your property from further damages and protect the value of your home. Davis Contracting for a free estimate or free inspection now.